In 1997, Anita Diamant wrote a fictional novel “The Red Tent”, which brought to life stories of biblical women who bled together on the New Moon and gathered in the Red Tent to share their wisdom, traditions, and sacred rituals. It was a place for them to find support for their struggles and celebration of their joys. The book became popular, striking a resonant chord with women everywhere who wished to have a place to gather with other women to strengthen their bonds of sisterhood and deepen their trust and knowledge of the Great Mother. Women began to create their own Red Tents gatherings and as word spread, so did the momentum of growth. 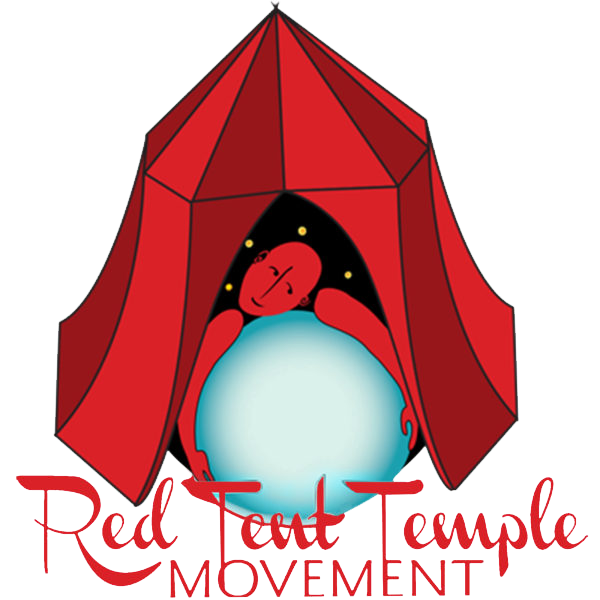 In 2006, inspired by the positive impact that Red Tent was having on the lives of women in these modern times, Alisa Starkweather birthed what she named The Red Tent Temple Movement. The Movement has since spawned Red Tent Temples by the hundreds in the United States, and thousands worldwide. See www.RedTentTempleMovement.com for more details on this international phenomenon.